I love cooking in a crock pot. I simply put together a few ingredients, set the automatic timer, and come home to a delicious ready-made meal. Like many people, I'm trying to get rid of the extra "fluff" that I acquired during the holiday season and crock pot dinners can be very healthy, helping me to reach my healthy goal. 1. 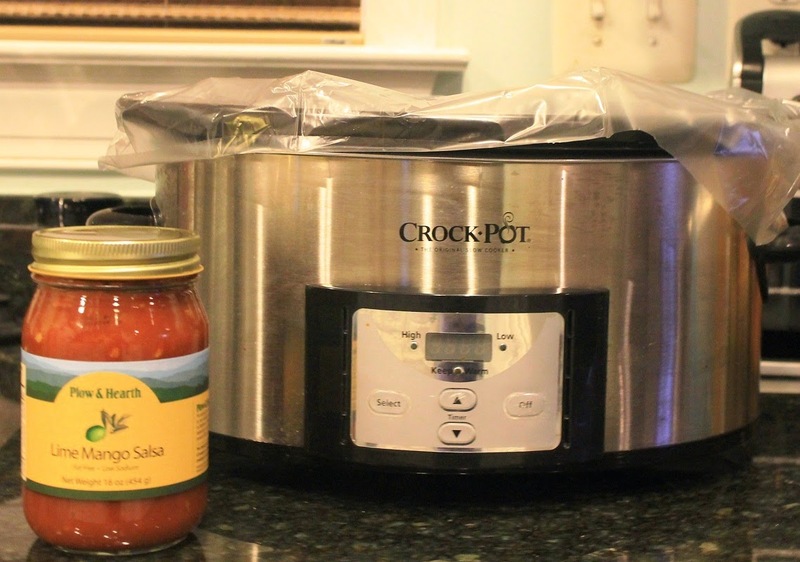 Line the slow cooker with a slow cooker bag . 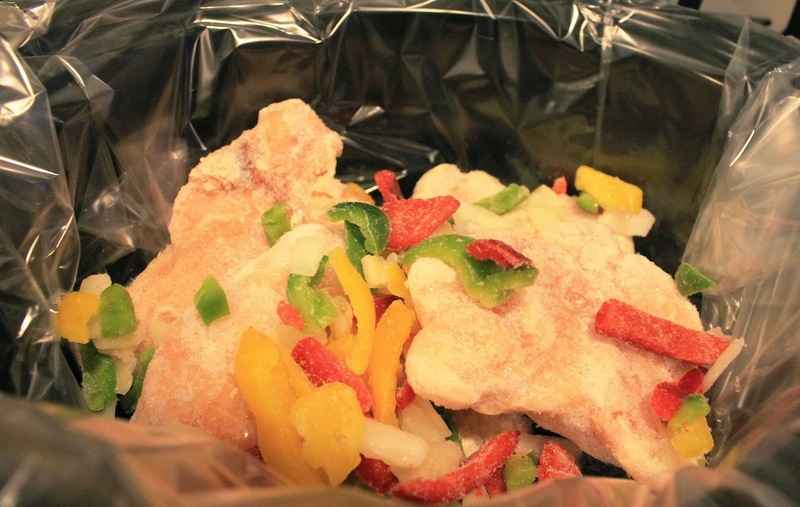 The bags save clean up time and dishwasher space! 2. Add the chicken and vegetables. 3. Top with 1/2 jar of Lime Mango salsa. 4. Add 2 cups of fat free chicken broth. 6. 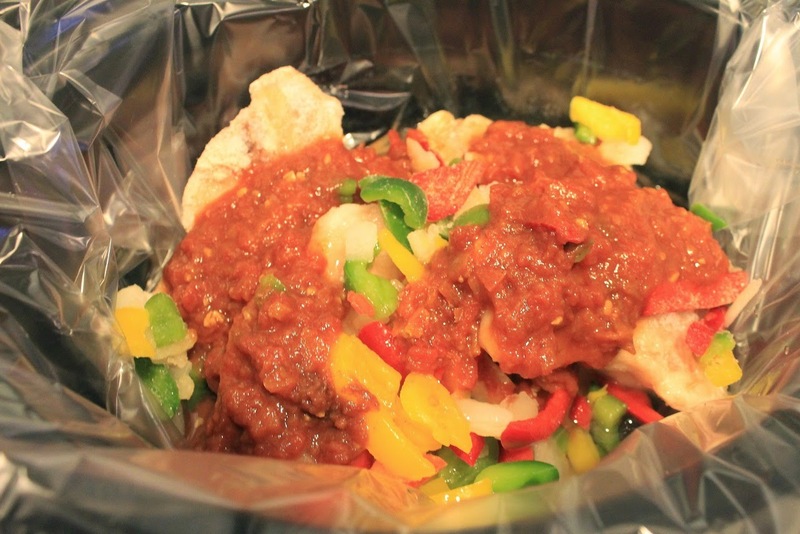 Shred chicken and use for tacos or salads. I've experimented a little bit with other fresh salsas with great success. I'm kind of a salsa "snob" and usually prefer fresh salsa, but the lime mango is so delicious and different from other prepackaged salsas. 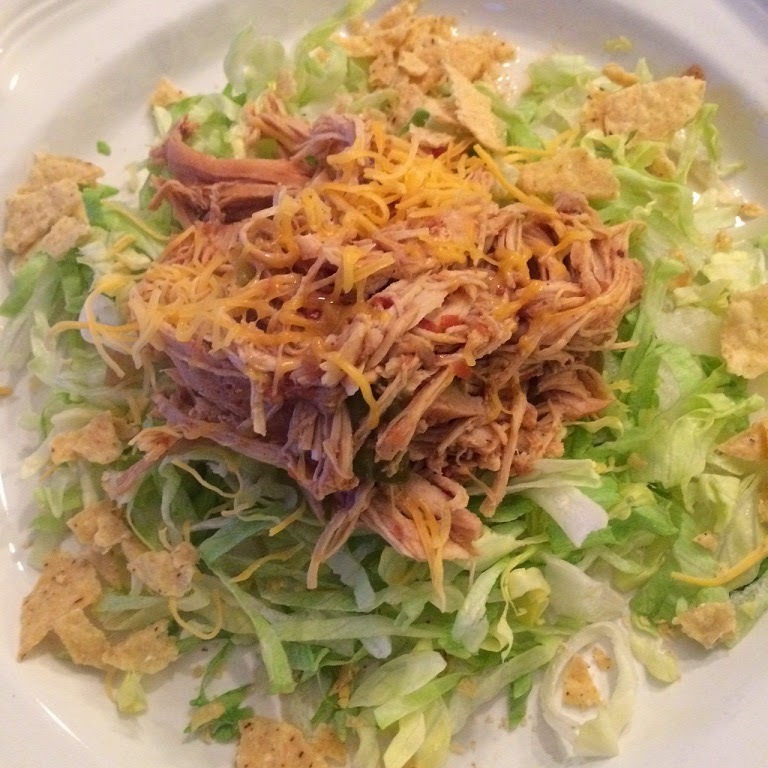 On this particular day, I used the shredded chicken to make a taco salad, but have also added this chicken to tortilla soup and have served it with rice and beans. The possibilities are endless.